A Year of FHE: LDS Youth FACE to FACE on March 4th + 6 Ways to Prepare! LDS Youth FACE to FACE on March 4th + 6 Ways to Prepare! There is going to be a wonderful LIVE event on Saturday, March 4th, 2017, at 11:00 am MST. 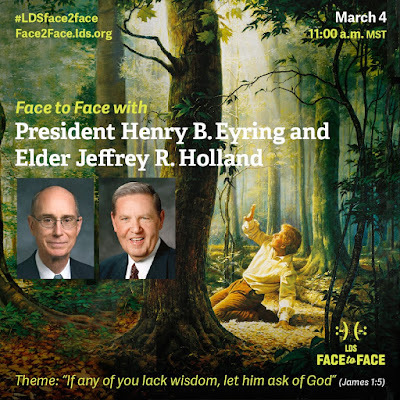 Youth have a chance to interact face to face with President Eyring and Elder Holland online. This event is broadcasted live from the Joseph Smith’s Farm in Palmyra, NY. What a great opportunity! You can submit your own questions by clicking HERE. You should follow the LDS Youth Instagram page which will live stream the event, but also give you exclusive behind the scenes of the Church History Sites all week. You can also watch on LDS Youth Facebook page, YouTube, & lds.org (on the homepage). 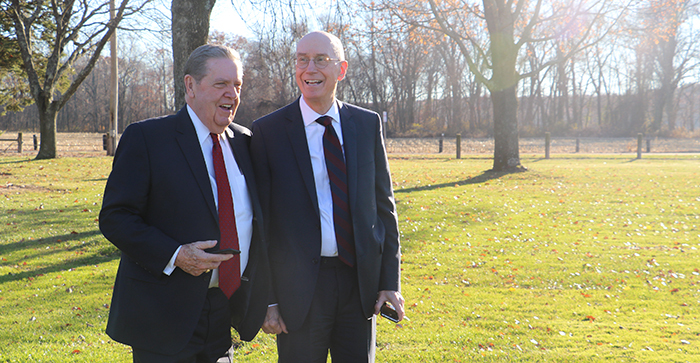 It’s not every day you get to hear your questions answered by two Apostles of the Lord. This is an amazing opportunity to learn and receive answers—possibly to questions you didn’t even think to ask. What can you do to prepare? 1. READ // Read Joseph Smith’s account of what happened in Palmyra in the spring of 1820. 2. PONDER // Think about the questions you have that you would like to ask the Lord. Write them down. You can submit them on the event page or keep them in a journal. See if you receive any inspiration during the event that may be helpful. 3. INVITE // Invite a friend to watch it with you. 4. PRAY // Find a quiet spot before the broadcast begins and ask Heavenly Father to help you feel the Spirit, so that you may know that what is being shared with you is true. 5. BE EARLY // Tune in 10 minutes before the event to watch the world premiere of “Ask of God,” a brand-new video about the First Vision. 6. RECORD // After the event is over, write down your thoughts and feelings. What did you learn?